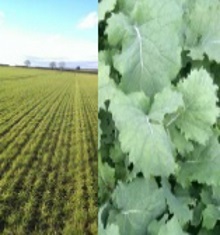 Applications should be made at a rate of 1.5 kg/ha from GS 19 onwards in Cereals. In particular target Winter Barley, Second Wheats and fields with variable soil types that are likely to suffer from stress in the growing season. Do not treat fields that have recently been treated with large quantities of animal manures unless the crop is suffering from other stresses such as frost damage, chemical damage or waterlogging. As a general principle AminoA is compatible with fungicides and insecticides but always perform a bucket test first. Whilst generally compatible with PGR’s use minimum dose rates as excessive straw shortening can occur in dwarf varieties. 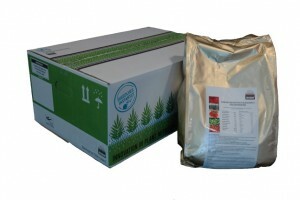 Generally avoid mixtures with contact herbicides as they potentially can be taken into the plant and cause crop damage. Applications of 1.5 kg/ha should be made before flower initiation which generally occurs from end November until February (late sown crops). We have done compatibility tank mixes with the following products and found them to be physically compatible. Application rate: 200 lit./ ha of water. We have also applied these mixtures to a number of trial plots with no observable biological effects. Ideally applications of AminoA should be made to a dry leaf but if applied to a wet crop or if there is rainfall shortly after application it will be taken up through the root. AminoA is totally water soluble but should always be applied through an induction hopper, premixed or washed through a screen never add directly into the spray tank. Always add to the tank mix last ideally when the tank is about 80% full to limit foaming. If excessive foaming occurs it may be necessary to use an anti-foaming agent. The user should ensure that all products to be tank-mixed with AminoA are approved for use on the crops which are to be sprayed. Always check individual product labels for any possible restrictions before making a tank-mix recommendation.